I recently shared on Facebook that I would be highlighting a few segments of my wedding planning. As I dive deeper into planning, I am finalizing some of the most important aspects such as location; however, one of the first things that came to mind when I first began wedding planning was how I would wear my hair. 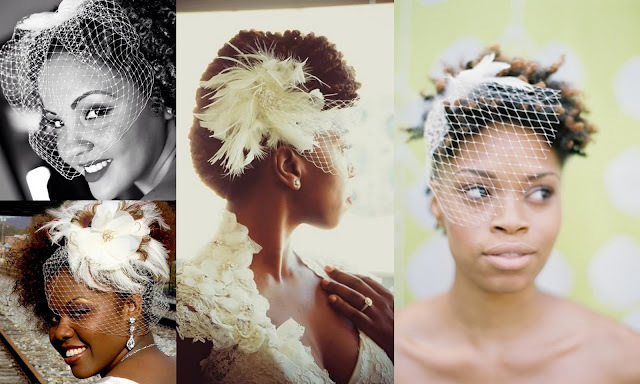 As I began searching for natural hair styles on Pinterest, I fell in love with the look of a birdcage veil. Birdcage veils are simply elegant. I love how they look paired with a natural hair updo. Since I soon became fixated on having a birdcage veil, I turned to E-Bay for an affordable version. I found so many gorgeous veils! 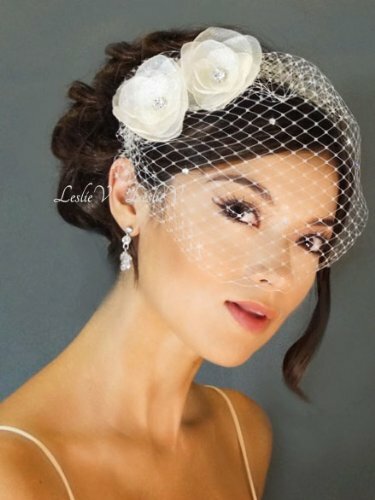 I particularly fell in love with the veils offered by Bridal by Leslie V. She had listings of veils starting for as low as $0.01 to bid on and Buy It Now options for under $20. After looking at her selection through E-Bay and her online store, I chose the veil below. The detailing on this veil is perfect with my dress. Since most birdcage veils retail for $50 or more, this veil is a steal at $25.99. Plus, it comes with instructions on how to steam the veil to form and fit your face. Are you loving the birdcage veil? What type of veil did you wear for your wedding? I love this look! I wore a traditional (but SUPER long) veil for my wedding. 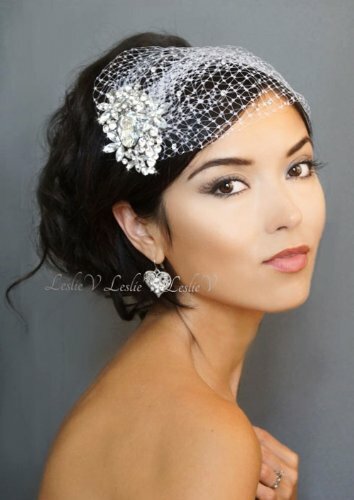 You can def rock the birdcage veil!!! That is different love this. I had that long veil and hated it. When I renew my vows at 10 yrs I think I am going to go with nothing lol. How cute!!! I wore something very similar when I got married. You're so sweet! Thanks LeSha! Now if only I could find a hairstyle... LOL. You're so sweet! Thank you Bobbie! I love the last one! I eloped so no veil, but for our vow renewal, I'd love to do a long veil. I had a destination wedding and forgot to pack my floor length veil. :( I love the bird cage look, though. So stylish. I'm REALLY interested in the birdcage veil, especially since I don't want to cover up the back of my dress. I guess I need to figure out which undo I'm going to do to figure out which veil I'm going to get and how I'm going to wear it. I'm also going to need to figure out if I will kept it on, change it, or take it off for the reception. Decisions, decisions!